On this day, January 18, 1778, the English explorer Captain James Cook became the first European to discover the Hawaiian Islands when he sailed past the island of Oahu. Two days later, he landed at Waimea on the island of Kauai and named the island group the Sandwich Islands, in honour of John Montague, who was the Earl of Sandwich and one of his patrons. Cook was initially impressed with the hospitality of the native people. After a year spent among the islands of the South Pacific, Cook sailed north to explore the northwest coast of America to the Arctic Circle. Read more about Cook’s final voyage on Discover Collections. 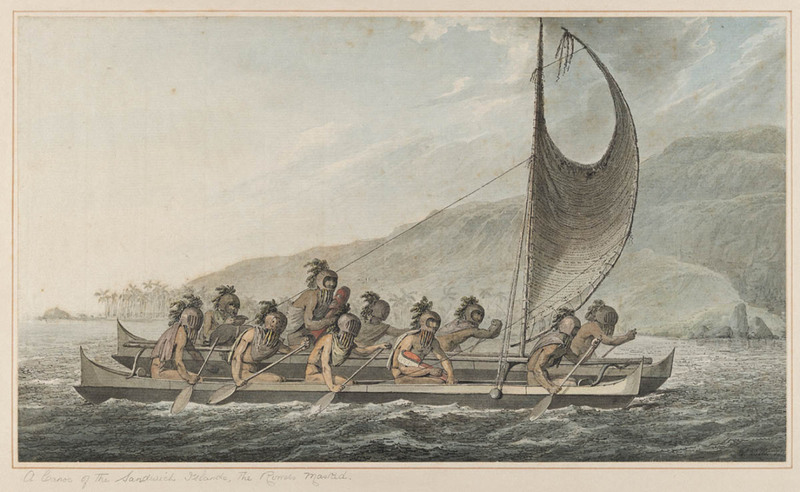 Watercolours illustrating Captain Cook’s last voyage by John Webber, official artist on the Resolution.